Lemon Haze is a widely acclaimed marijuana strain that is sativa dominant. Popular for its characteristic fragrance, strong effects and good yield, this strain is sure to become one of your biggest cannabis seeds favorites of all time. Like many other lemon strains, this one boasts a strong citrus fragrance that many people describe as sour, dank and skunky, yet fresh and sweet. 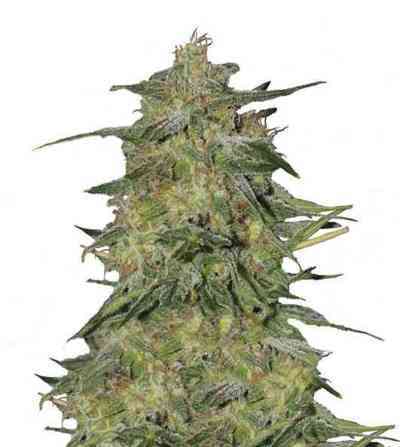 Some others have likened the strain's flavor and smell to a strongly lemon-flavored candy. This is most likely due to the relatively high concentrations of limonene present in this strain and ones like it. The taste is very much like the fragrance, which makes for a delicious smoking or vaping experience. Because this strain is sativa dominant, it comes with all of the uplifting effects that are typical with most other sativa strains. There is a considerable mind high that is often said to be heavily psychedelic. There is also an increase in energy levels, creativity and motivation, which can be helpful when you have a lot to get done. The strain is frequently described as optimistic, euphoric, alert and capable of imparting feelings of well-being. The main duration of these effects typically lasts between two and three hours, eventually giving way to more of a relaxed, yet still energetic, body high. Due to the strongly stimulating effects of this strain, it is not advisable to use it immediately before bed as it may prevent sleep. Lemon Haze cannabis seeds generally flower within eight to nine weeks depending on how they're grown and how well they're cared for. With outdoor growing, you can usually expect to harvest the buds during the middle of October. Yields are typically in the neighborhood of 425 to 475 grams per square meter, or upwards of 150 grams per plant, when grown indoors. When the strain is grown outdoors, it generally produces 450 to 500 grams per plant. Each plant reaches between 80 and 140 centimeters indoors, and 130 to 170 centimeters when grown outdoors. The buds produced by the plant are often large and elongated. They possess a lovely tapestry of lime green with tinges of golden yellow that only seems to enhance the strain's lemony goodness. Like with most sativas, the buds are loose and fluffy. They're coated with a generous amount of red hairs and THC-rich trichomes that entice the senses. Lemon Haze is a hybrid of Lemon Skunk and Amnesia Haze, both of which are sativas that feature a prominent lemon flavor and aroma of their own. It has one of the higher THC contents at roughly 25 percent with a CBD content of around 0.88 percent. Indeed, the strain is so potent that it won the 2008 High Times Cannabis Cup, which greatly increased its popularity. If you're looking for a strain that is a good producer and has a pleasant effect and flavor, look no further.